It’s time to sign-up for the 2017-2018 scouting year. 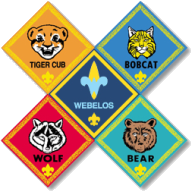 We have many exciting programs and activities planned for Pack 155. The annual dues collected are designed around a balanced budget paying for: National BSA registration, insurance, Boys Life magazine, campsite fees, advancements, awards, Pinewood Derby cars, and the Blue & Gold Breakfast for the scout. Please complete the form to register your son(s) for the 2017-2018 scouting year. 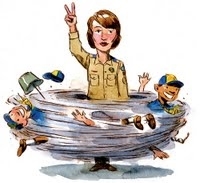 Registration fee for a returning scout is $90. Registration and Fees are due by September 22. Register early and be entered into a drawing that will take place during our Sept Pack Meeting on 9/28. Early Registration and Fees are DUE BY September 15 to be entered into the drawing. We are always looking for help with implementing the pack program. The program does not work without the effort of our volunteers, leaders and committee members. We have included a volunteer option on this form, it does require an answer in order for the form to be submitted. Most of the committees are under staffed and we really need extra hands to ensure the quality of the Scout program for our boys. Some of you may already be Den Leaders, however, please don't let that deter you from volunteering in other areas. If you'd like to be notified if there is information posted to the site, please "Subscribe to posts" within the Pack News section of the site.